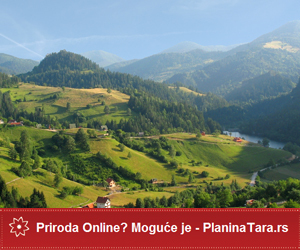 Participate in a multimedia contest “Beautiful Serbia” for the best Serbian photo! We invite all those who are fans of the portala www.beautifulserbia.info and the fun page “Beautiful Serbia” on the Facebook as well as amateur photographers, professionals, camera operators, graphic designers, illustrators, and others who are finding ways here to express themselves to participate in this contest and contribute to a Serbian image. Take your chance to publish your work and name. There is only one condition: your work (photography, illustration, animation, video …) must represent and promote Serbia, its tourism, landscapes, places, culture, traditions, customs and you will with your participation guarantee that the photo is your work and assume full responsibility for its publication. The multimedia contest “Beautiful Serbia” starts at 1. March and lasts until 30 April 2011. and in the next two months it will be published selected works with the names of its authors on the home page of the travel portal www.beautifulserbia.info. (Space 250x300px). The multimedia contest “Beautiful Serbia” isn’t competitive kind of contest and it will not be announced the winning photo. This contest is aimed to promote young artists and Serbia as a tourist destination. With participation, you will contribute in a making of Serbian tourism an interesting and attractive brand as well as you will promote yourself as an artist, so we will together achieve the main goal of this project, to promote Serbia as a tourist destination. Sending photos on the page http://beautifulserbia.info/en/konkurs , you will get rights to participate in the contest and they will be considered an application to this competition. With photos, write their names, your name and a description of the photos (what is it, when and where it was taken …). If your work meets the requirements, our administrators will within 48 hours (often earlier) publish your work on the special page of our portal as well as on our Facebook page (www.facebook.com/beautiful.serbia). Photos that are submitted to the contest will not be returned. Participating in a contest, authors guarantee that the photo is their work and assume all responsibility in case they turn out differently. Participants give their consent to transfer the right to use photos to the organizers of the competition – travel portal ViaBalkans.com. Organizers are not responsible for possible abuse (copy, unauthorized disclosure of the submitted photos). Also, the organizer keeps the right not to publish photos of inappropriate content and in a case of irregularities to disqualify and to delete without prior notice or explanation. Photos: sending photos for the contest an administrator will be allow to correct the color, contrast, as well as to change the size and shape, to cut some parts to make photos attractive as much as it is possible and to adapt the format required for the publication on the portal. Each one of the photos you are sending to participate to the multimedia contest “Beautiful Serbia” must belong to the term “Travel Photos” and its definition you can find in the paragraph below. Children photos, photos with pets, blurry photos will not be published. Travel photography is usually that photo, which make tourists during their holidays the amateur’s, professional’s to the artistic photo. These photos were taken mostly unplanned and accidentally. It is very close to the landscape, panorama and photo-journalism, which is used in tourism purposes. In travel photography there is usually tourist attractions, events, or picturesquely described tradition, life and customs in an interesting and tourist attractive places… The main goal of travel photography is to show in a beautiful, interesting and original way everything that will attract potential tourists to visit certain tourist destination. NOTE: Describe your work better and more detailed (minimum 5 sentences). Specify what is your work, what is it showing when and where snimnjen (eg if it is about photography), etc.